Special SIT court judge P B Desai, who was hearing the 2002 Naroda Gam riots case, retired today. AHMEDABAD: Special SIT court judge P B Desai, who was hearing the 2002 Naroda Gam riots case, retired today. He had heard depositions of over 300 witnesses, and for the last three months, he was hearing final arguments by the special investigation team lawyer which were about to end. Final arguments by the defence and victims' lawyers are yet to start. His retirement won't necessitate fresh examination of witnesses before a new judge, but the final arguments will have to be heard afresh, a prosecution lawyer said. Desai is the third judge to hear this post-Godhra riots case, related to the killing of 11 Muslims in the Naroda Gam area near here during the 2002 Gujarat riots. The case was first heard by S H Vora, who was elevated to the Gujarat High Court on May 8, 2009. Jyotsna Yagnik, who succeeded him as a special judge for the riots case probed by the Supreme Court-appointed SIT, retired in 2013 and Desai took over. "After the appointment of a new judge, we will have to conduct the final arguments afresh. Deposition of witnesses need not be done afresh," SIT lawyer Suresh Shah said. "The new judge will have to hear the final arguments afresh which means the case will be delayed. We have prepared written arguments, but even they run into over 1,000 pages. This apart, he will also have to go through documents," Shah said. Appointment of a new judge will be made only after the high court vacation ends on January 8, he added. Victims' lawyer Shamshad Pathan said that for the new judge, a perusal of case documents will be a "big exercise". "Whenever a new judge comes, he has to go through the documents before starting with the final arguments. It will be a big exercise. For us, it becomes difficult to explain to the victims why the trial is getting prolonged," Pathan said. Naroda Gam massacre is one of the nine major riots cases investigated by the SIT. The riots in the Naroda Gam area took place on February 28, 2002, a day after the Gohdra train burning incident. 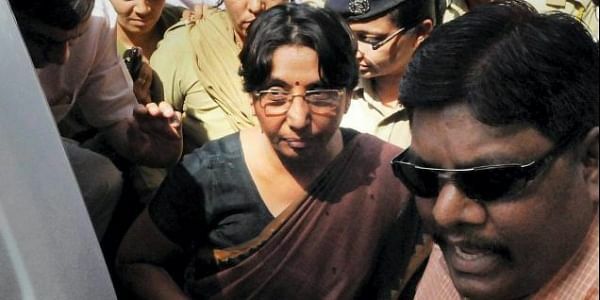 A total of 82 persons are facing trial, including former Gujarat minister Maya Kodnani.